Wow, there's a lot of you out there. 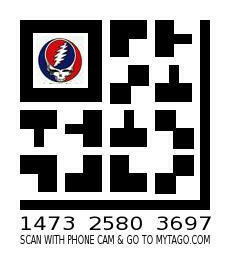 Mytago (blog) says "Use Mytago and convert your phone into a magic bookmarking and tagging tool. Use bookmarks from the offline world for online sharing and exploring. Connect your offline and online worlds." Magic tools are always a good thing, heh! And I like how you can customize the tags with your own little 48x48 px favicons. Time to go out and sticker up my world.